TUCSON, AZ (Tucson News Now) - The official opening of the 62nd annual Tucson Gem and Mineral Show kicks off Thursday, Feb. 11 at the Tucson Convention Center. 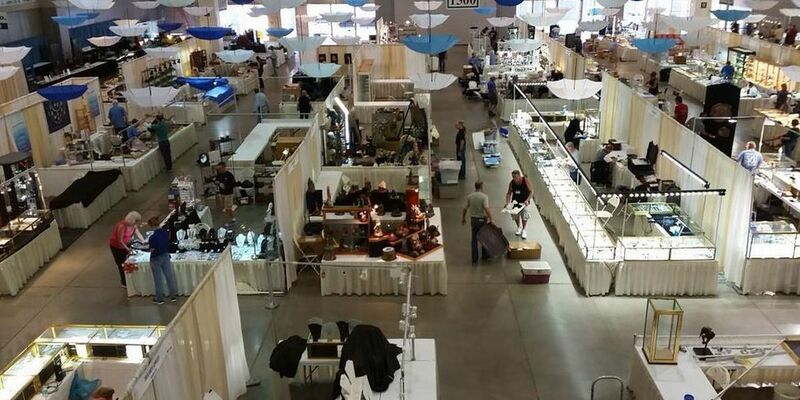 Nearly 250 vendors are busy setting up at the TCC. "We've been here since 9:30 this morning," jewelry vendor Nabil Abdallah said. Every type of rough and polished rock, fossils, jewels, stones and minerals will be on display under one roof. One big attraction at the show this year is the skull cast of a baby Tyrannosaurus Rex. "Very unique, very rare. It's the only one of it's kind in the world," dinosaur hunter Bob Detrich said. Detrich said he unearthed the bones of the smallest T-Rex ever discovered on July 7, 2013 in Jordan, MT. Another big attraction this year is shipwreck gold. "Gold pokes full of gold. There's none left in existence," mine geologist Fred Holabird said. His display includes real gold recovered from the SS Islander that sank in 1901 after hitting an iceberg near Alaska. As for dinosaur digging Detrich, he said he's looking forward to a great weekend ahead. "Tomorrow when all the kids walk by that's when I get the warm and fuzzy feelings, because the children love it," Detrich said. The Tucson Convention Center is located at 260 South Church Avenue. Doors open at 10 a.m. and close at 6 p.m. Admission is $13 dollars. The show will wrap up on Sunday, Feb. 14.